It all started in Hawai’i where Christian Cordius and Jacques Noerbo decided to bring a piece of paradise home to Denmark. 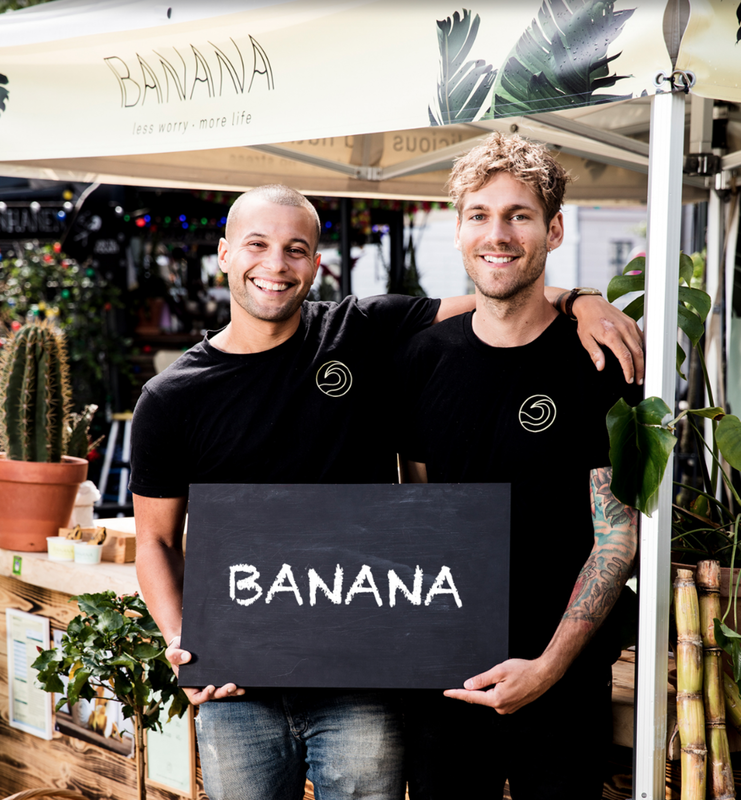 Inspired by native Hawaiians on Oahu, the idea for Banana started to form – a sustainable vegan ice-cream without refined sugar, sweetened naturally by the fruit itself. Through their innovative approach, the two entrepreneurs have managed to create a unique and delicious product with the traditional soft-serve format, but with a nutritional value that enables a lifestyle without having to compromise on price or taste. Working with Copenhagen Food Space, Growing Foods CPH and InnoFounder the concept has grown into a well-established brand in Copenhagen. In the summer of 2018, Banana launched its first store.